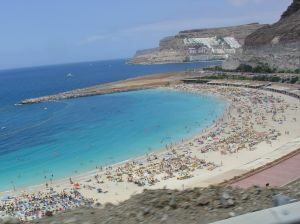 There are lots of beautiful beaches in Gran Canaria for your family to enjoy. Public beaches are free of charge and many have beach chairs or umbrellas at a small cost. Bring some sand toys for the kids and they will have a great time building sand castles and splashing in the water. The biggest public beach located in Puerto Rico offers many shops, restaurants and water sports like banana boat cruises, jet ski rentals and para-gliding. 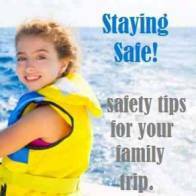 Your teenagers and older children will love the Big Red Power Boat Ride. This is like a roller coaster on water- high speed, spinning and thrilling ride. Be ready to get very wet! Leaves from Puerto Rico marina. Check out the underwater life aboard the Yellow Submarine glass bottomed vessel. This is one of the best things to do in Gran Canaria with toddlers and small children. 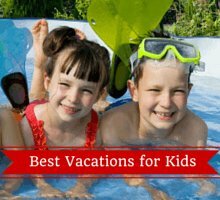 They will love seeing the colorful fish, coral and other sea creatures. It leaves from Puerto de Mogan. Head out on a dolphin search on one of the boat tours. It is thrilling for children and adults alike when they spot these gorgeous creatures swimming nearby. Most tours include a meal and snorkeling. Swimming With Sealions is one of the best things to do with kids. Enjoy kisses and hugs from the sea lion and even have him jump over your head. This is a great program that even toddlers and small children can participate in. Ages 2 and up. Take a Camel Ride in a lovely setting complete with palm trees and fruit trees. Your kids will love seeing these handsome beasts up close, feeding them and petting them. This is another fun activity for all ages including babies and toddlers. 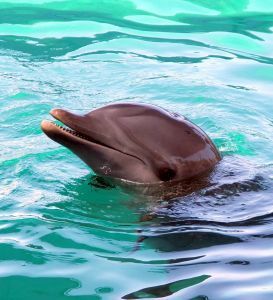 A visit to Palmitos Park makes a great day out with the kids in Gran Canaria. It is located about 15 minutes drive from Maspalomas. This nature park has lots of animals to see such as monkeys. colorful birds, meerkats and more! Don't miss out on the dolphin and birds of prey shows. Bring a picnic lunch to save some money! This is one of the best things to do in Gran Canaria with kids. Cocodrilo Park is a great place to hang out with crocodiles-with 300 of them! There are also monkeys, Bengal tigers, birds, tropical fish and more. Don't miss the parrot show and cacti garden. Great for kids of all ages. A tour of Casa de Colon which was Christopher Columbus' house will be a great history lesson for the kids. 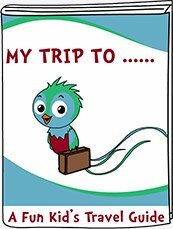 Learn about his travels and see how the Canary Islands was a great starting point for exploring the Americas. 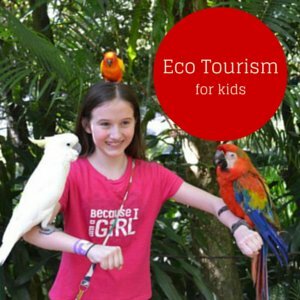 Your little ones will enjoy the talkative parrots out front. Entrance is free and it takes about an hour or so to visit. 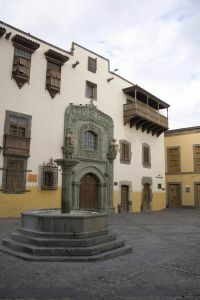 It is located near the Cathedral in Las Palmas. 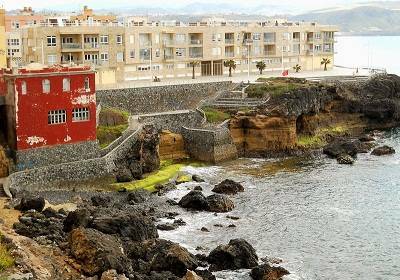 Teenagers and older children will enjoy an Electric Bike Ride around Maspalomas. This 1.5 hour tour will show you the highlights of the town such as the beach, lighthouse, the pond and the famous dunes. Holiday World located in Maspalomas has a fun fair with rides for everyone to enjoy. There are roller coasters and a sky drop for your daredevils. There are some kiddie rides for the little ones including a merry go round and ghost train. Also here, is a bowling alley -makes a great night out for the family. Aqualand Maspalomas is one of the fun Gran Canaria family attractions. Race each other down the slides, slide up and down the sides of the boomerang ride. Relax on the lazy river or try the daredevil slides. Your toddlers and small children will love the mini park just for them. Play a game of Mini Golf with the kids in Gran Canaria. You will find mini golf in most tourist areas on the island. 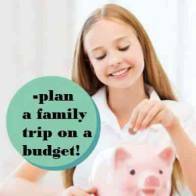 This is a fun evening activity for the family! 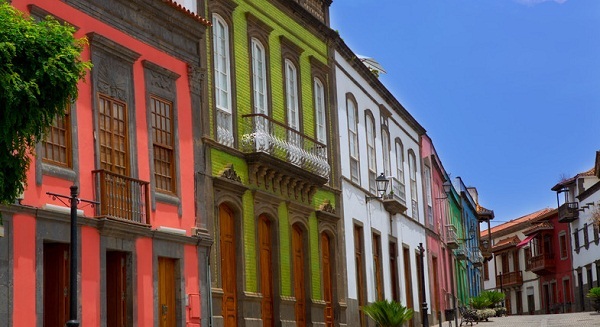 More family travel info for the Canary Islands! Find the perfect place to stay with your family in Gran Canaria! Unforgettable things to do in Lanzarote with children!